10 – The quiet, rustic feel of the resort. The resort is surrounded by wildlife, trees and the serenity that you may not expect to find in the middle of Walt Disney World. It can be extremely nice to get back to nature and enjoy a little bit more peace instead of always dealing with the crowds, loud music and busy nature of the theme parks. It is hard to find this feeling, especially right from the site you are staying, at any other resort on property. 9 – There are a variety of stays available. There are stays to meet a variety of needs. You can camp in a tent, rent or bring your own RV or stay in one of the onsite cabins. The sites include picnic tables, grills, full electricity and sewer hook-ups and more! 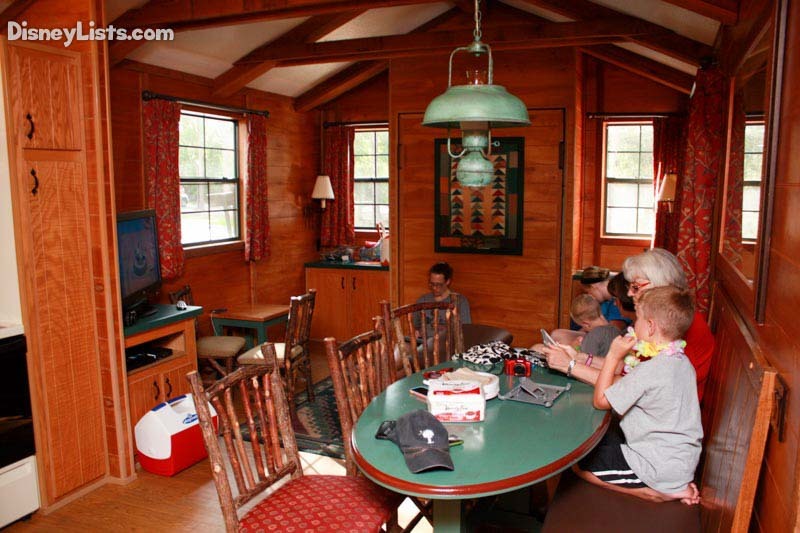 You can have most of the comforts from home right from the resort in the wilderness. 8 – It is a great location for large groups. You are able to book stays with large groups where you stay at sites that are located close together. You can almost your own little village where you can sit outside and visit right from your site. There is also a ton of great activities for everyone that everyone in the group can have a fantastic time. 7 – Close proximity to Magic Kingdom and other resorts. 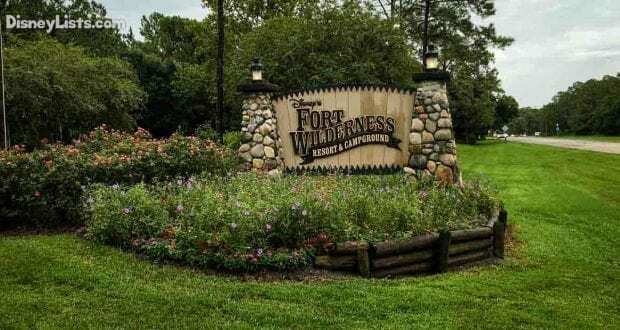 Fort Wilderness is located in the Magic Kingdom area. Since it is close, there is water transportation that takes guests at the resort to and from the Magic Kingdom. The water transportation can also be used to visit other resorts like Wilderness Lodge, Grand Floridian, Contemporary and the Polynesian where guests can dine and enjoy some of the amenities at other resorts, too. Most nights at the resort there is a fun campfire that features Chip and Dale. They and their musical accompaniment sing songs and dance with the guests while enjoying the campfire outside. You can also bring or purchase the stuff to make s’mores while at the campfire. It is a great time and free event at the resort. 5 – Enjoy a variety of different recreational activities. This resort has some of the most amazing recreational activities. The horse stables are on site at the resort. Guests can go and see the beautiful Disney horses and even go horseback riding. There is a carriage ride through the compound daily for a set fee per guest. There are a variety of sports activities like tetherball or archery that are also at the resort. There are even playgrounds and arcades, too! It would definitely be difficult to get bored while staying at the resort! 4 – There are lots of trails. The trails at the resort are beautiful and give guests the opportunity to bike, walk or run at the resort. It is great exercise and a great way to relax. It also lets guests see Walt Disney World in a very different way than guests would typically expect. 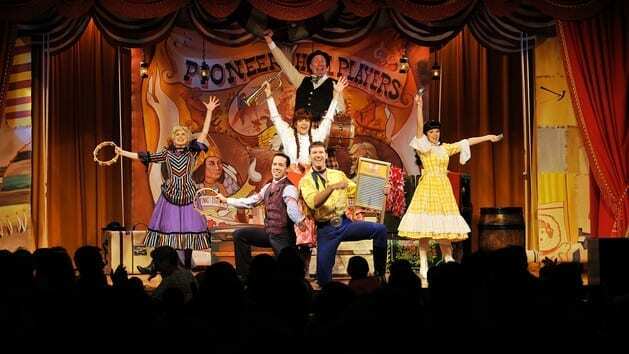 This amazing dinner show is located right at Fort Wilderness. It is a slapstick-style comedy show with a meal served at the table family style. The meal includes classic western-style food with unlimited beverages, including select alcoholic beverages. It is an event that is fun for the whole family and only walking distance away from where you are staying. 2 – There are fireworks views. If you head out to the dock area of the resort, you can see the amazing fireworks at the Magic Kingdom. Watching the fireworks from outside of the park is often one of the best ways to see them so that you don’t have to fight the crowds or the rush to get out of the park after they are over. The music is even piped into the dock so that you can hear the music along with the show. 1 – Opportunities to grill and enjoy the stars. Where else on Walt Disney World property can you grill your own burgers and dogs from your room? This is one of the great perks of staying at Fort Wilderness with a grill at the campsites. You can also enjoy views of the stars and the night sky while sitting outside at your picnic table or camp chairs. It is definitely a unique experience for Walt Disney World and not something you can experience at the other resorts.